Join us for the MainStreet Roswell Farmers’ Market every Saturday July 13 – October 5, 2019 from 7-11 a.m. on the historic Chaves County Courthouse Lawn. Fresh greens, chiles, root vegetables, delicious baked goods, crafts and more! All produced locally! The Saturday morning markets are a great way to gather with friends and neighbors and shop for tantalizingly fresh, New Mexican food. 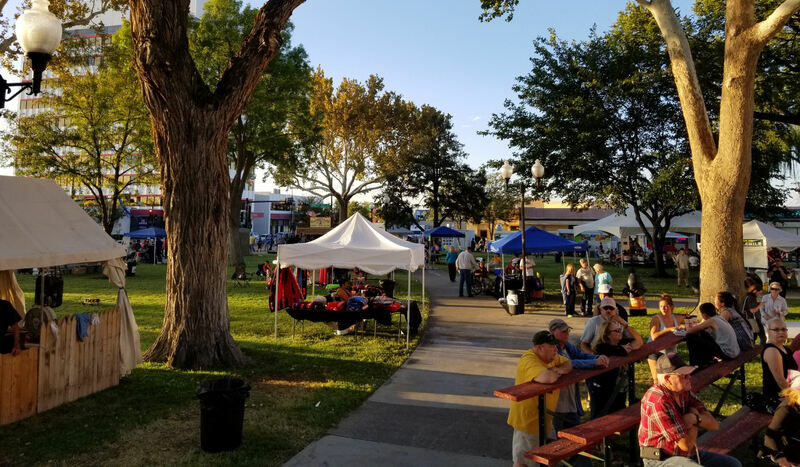 Chat with the vendors about their wares, take in the colors and aromas of just-picked vegetables and fresh baked goodies, watch local cooks prepare fresh burritos, fajiatas and more using seasonal produce, and enjoy the great view of the Chaves County Courthouse. This year we are proud to be accepting EBT for food products. Vendor PotLuck details will be posted when available.